ATQ - frequencies increased from 4 weekly to daily nonstop flights using an A 320 five times per week + A 321 twice a week. GOI - frequencies increased from 4 weekly A 320s to daily nonstop flights using a larger A 321. KHI - capacity increased from daily A 321 to 2 weekly A 333s + 2 weekly A 332s + 3 weekly A 321s. ISB - capacity adjusted from 3 weekly B 773ERs + weekly A 332 to 4 weekly A 333s. 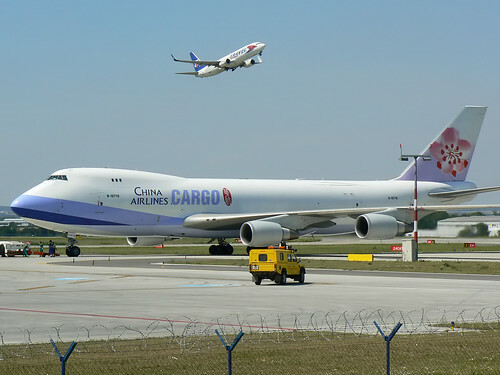 LHE - capacity increased to 2 weekly A 332s + weekly A 346 + weekly A 333. QR have also officially confirmed that from April 2010, it will be launching new flights to CPH-Copenhagen and BCN-Barcelona in Europe as part of its 2010 expansion plan. CPH will be initially flown 4 times per week nonstop using an A 319LR where as BCN will be flown daily using an Airbus A 330. Very happy that KHI is finally getting consistent A 330 service by QR which should help them attract more business class traffic bound to Europe, USA and the Middle East. Unfortunately, it seems that ISB will be losing its same plane service to IAD with the B 773ERs being withdrawn. Cathay Pacific has revealed on the GDS that after operating the Mumbai-Dubai route for over two decades, it will be sadly suspending this sector effective March 29th 2010 citing heavy competition and diluting market share. It was known for two decades as the "grass hopper route" as it was originally flown using a Boeing 747-300 as HKG-BKK-BOM-DXB and then a decade later switched over to a B 777-300A and recently it became a daily HKG-BOM-DXB service. On the BOM-DXB sector, CX was competing against 5 daily EK, double daily 9W and double daily Air India operated flights. CX should seriously examine the possibility of replacing the ultra competitive BOM-DXB route with either BOM-AUH or BOM-MCT. Both routes see double daily frequencies offered by EY/9W (AUH) and WY (MCT) only using narrow bodied aircraft. Emirates has officially revealed that it will be adjusting its services to Melbourne and Kuala Lumpur from Feb 1st onwards by re-routing one of its daily nonstop DXB-MEL flights (EK 408) to DXB-KUL-MEL. This route will be served by an A 340-500 on a daily basis and EK will have 5th freedom traffic rights on the KUL-MEL-KUL sector. As a result of this, EK will be increasings its flights to KUL by offering triple daily nonstop services from DXB using an A 345 daily + double daily Boeing 777-300s. MEL will also continue to see triple daily services i.e. daily A 345 via KUL + daily B 773ER via SIN and a daily nonstop flight using an A 345. NRT - frequencies increased from 3 to 6 weekly flights using a B 773ER. LHR - capacity reduced from daily B 772A + weekly A 332 to 8 weekly A 332s. MXP - frequencies increased to double daily nonstop flights using a B 738. Pakistan International Airlines (PIA) has revealed on the GDS system that it will be suspending all of its flights to GLA-Glasgow, Scotland from January 17th onwards. Currently, twice weekly flights are flown from Lahore using an A 310-300 but the service has struggled to compete effective against Emirates and those offering connections from GLA via LHR/MAN to Pakistan. 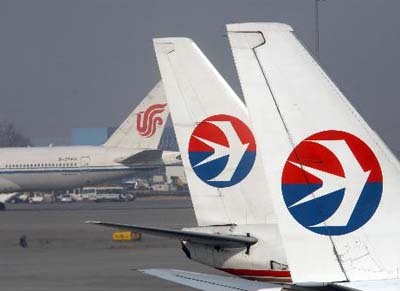 China Eastern Airlines has officially announced that they have placed a large order with Airbus for the purchase of 16 brand new Airbus A 330s to fuel further its regional expansion in Asia. MU has not indicated however if these orders are for the -200 or -300 version of which the latter is the most popular version in the Far East.